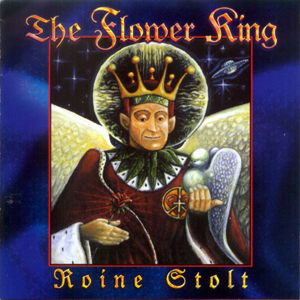 ROINE STOLT "The Prince of Prog"
Perhaps no name is more closely linked to modern progressive rock than Roine Stolt. Through his own band The Flower Kings he has produced many albums of modern prog that is well tied to the classic progressive rock of the 1970s. With other splinter groups and spin offs he has continued that tradition. Then there is his work with the modern prog supergroup Transatlantic. I (along with a few of my cohorts) was able to ask him about a number of these projects and more. WORMWOOD CHRONICLES: Can you catch the readers up on the things that have been going on in the world of Roine Stolt for the last couple years? ROINE STOLT: Well, as most of you know we reunited Transatlantic for a new album "The Whirlwind" in 2009. Also I released the first album with my new band Agents of Mercy (The Fading Ghosts Of Twilight) the same year and that's pretty much those two projects that kept me occupied since summer 2008.In between I did also the first album with the fusion project "3rd World Electric" and yes, I did a solo album in 2005 called "Wall Street Voodoo". It was an album focusing more on my blues roots as a guitar player. My focus these years has been to get back to roots and we've tried to make music organic and get away from the traps of modern technology and post production fixings. I tried to imagine what it was like when Beatles or Queen or even The Band tracked some of the classic tracks, very far from Lady Gaga or modern ProTools recordings from Muse, PT, Metallica, Dream Theater or American Idol spawn.The idea was that if it didn't fly - no "production" or overdub in the world could save it. So I guess we try to pick up the good bits and the organic feel while still welcoming new tools and technologies. RS: I would probably be involved in something creative anyway - so maybe I would do film or be a painter or write books.....or maybe design furniture...... Or even clothes. Or.....own a restaurant. WC: Who would you see as your biggest musical influences? RS: Not one individual or band really - but names like The Beatles, Procol Harum, Zappa, Joni Mitchell and Yes pop up and in the jazz field I'd say Miles Davis and Pat Metheny. As for classical music ,Claude Debussy, Igor Stravinski and in opera Puccini is a favourite I'm sure I've nicked ideas from every single one of them. 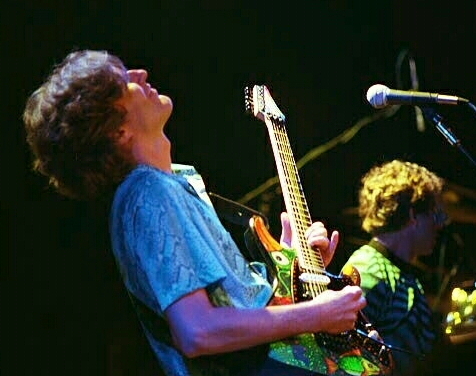 WC: Are there plans for any more Flower Kings albums? RS: Definitely – Flower Kings is not folded for good, we're just waiting for the right time and for new fresh inspiration. Looking at 2011 I can envision work on a new Flower Kings album, I have a few ideas. WC: Do you have some plans in place for future projects or some general plans for say the next five years or perhaps ten years? RS: Well, that will include of course new Flower Kings, plus definitely a new Agents Of Mercy that we're currently writing and plan record in April this year. What's more, I can definitely see another Transatlantic studio album coming the next years and also a second 3rd World Electric, this time a more raw funkier/bluesier and less polished…But one of the things I look forward to the most is a long time coming symphonic album I'm working on right now. It's symphonic orchestrated music with a few sections of rock band too - I'd say it's true "symphonic Rock" with "symphonic" in focus. It's a bit hardboiled but fun and new to me. RS: I can think of many - anyone original and talented......and I wouldn't say, “no” if McCartney called. WC: You have been involved in a lot of projects. What ones have turned out differently than you expected (for the better or worse)? RS: Most turned out pretty much what I expected - but in all honesty I didn't think Transatlantic was for more than just one album - now we've done three and a fabulous tour just recently - a true blessing. WC: Does Mike Portnoy leaving Dream Theater have any bearing on bringing back Transatlantic sooner than later? RS: I have no idea really - as he just left DT but I'd imagine it will help when we try schedule recordings next. WC: What was the vibe within Transatlantic during the tour this past year in the US? RS: The vibe was fantastic - it was a very happy tour for all of us - probably the most fun I've been on in many years. The friendship has grown and we play better than we ever did - I can imagine us doing another tour anytime soon ‘cause we have so much fun and there are countries we still have not visited. WC: Is there any unreleased material from Transatlantic and if so, are there plans to release it? RS: There is no studio material (except a version of “Salty Dog” that I sing) but a few live things on both video and audio from the 2010 tour, all good quality. RS: I think it's both actually, while people do steal music I realize that our music reaches regions where we do not yet have any distribution or people don't have the financial means to buy it legally anyway. RS: With Flower Kings we have allowed people to do that over the years, the live shows - if it is downloading for free,it is OK.
RS: Don't know - great musicians does not always mean great music, it's all about chemistry. RS: Joni Mitchell, Sting, U2, Derek Trucks, Jeff Beck, Zappa Plays Zappa, Agents Of Mercy, Jackson Browne, Pat Metheny Group. RS: Listening lately to: "Mythodea" by Vangelis, "Incident" by Porcupine Tree, "Aquarius" by Haken, "Live at Citifield" by Paul McCartney, "Infinity Of Worlds" by Lalle Larsson. RS: I'm terrible, I start reading but stop.....books by Obama and by Bill Bruford .....just need to finish them. RS: That was Zappa plays Zappa in Stockholm ...and before that, Sting with the orchestra in Stockholm. RS: Jesus, Leonardo DaVinci, Frank Zappa. RS: Italian food and red wine. WC : Are there any closing thoughts you would like to get out there? RS: My journey is ever interesting - I'm blessed to be able to play with so many great people from around the globe - yes, it's been busy but when it's also so much fun I never feel any stress, I just take it as it comes.The Transatlantic tour was pure bliss and our final show at the High Voltage Festival in London we even had Mr. Steve Hackett guesting on our encore (“The Giant Hogweed”). This year has been great and I see no end in sight - I'm blessed and humbled. Also I'm grateful 'cause I've been able to sustain family and put food on the table for a good twenty years now and I see no end in sight but maybe no big breaks either. I'm just grateful that prog is back and possible at its peak since 1977 - there is just so much going on and even if an occasional tour doesn't work some other do and the recent success of Transatlantic is a testimony that prog still rear its ugly head and so do many of the old suspects - and I'm happy to be one of them.What's equally or perhaps even more exciting is that I always have plenty of new projects and visions that I want to realize on record and many amazingly talented and fine friends to play with. What a gift!